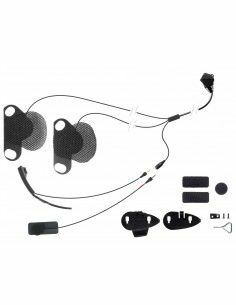 MotointercoM For over 15 years we have specialized in the sale of Bluetooth intercom for motorcycles, without forgetting spare parts and accessories. We market only the best brands on the market. PackTalkIntercom for motorcyclesCardo Scala RiderWith technologyDMC, version for two helmets, coferenza between bike without problems. 30K Intercom Bluetooth with the function MESH, gone are the problems of connection with other riders. Unlimited connections with a range of many MILES. The single version. ZUMO 346 LMT-S The navigation system from the bike completely connected. 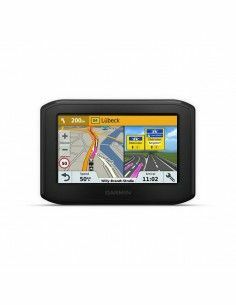 Display 4.3" and Europe map 24 countries. Complete with mounting accessories. PackTalk Bold JBL DUO - Intercom for motorcycles with technology, DMG Dynamic Mesh Communication, communications, clean, long-distance, up to 15 Riders. Voice commands and audio JBL. Certified IP67 water , snow and dust. The BT NEXT PRO is the bluetooth intercom end Midland. Up to 8 people connected, 4-pair rider-to-passenger who can enjoy an enhanced sound experience thanks to the new firmware MWE. Including the form BTTButton and a pair of HI FI Speakers. Intercom double Bluetooth Chip. Freecom 4 Plus Duo version for two helmets. Now just to say "Hey, Cardo," the rest will be all over Him. We are among the world's largest retailers of Bluetooth intercom systems. We offer our customers an excellent assistance service, managing to fulfill the guarantees in 48 hours.